Last week, I updated my facebook account to include The U.S. of Tara as one of my favorite shows. I was suprised to be one of the first people to enter that as a favorite show (the autofill didn’t come on). In case you don’t know, the U.S. of Tara is a new series on Showtime about a suburban family in Kansas – father, mother, daughter, son, and mother’s three (3) alters. Toni Collette plays the show’s lead, the suburban Mother Tara, and her three alters: teenage “T,” homemaker Alice, and machismo Butch. 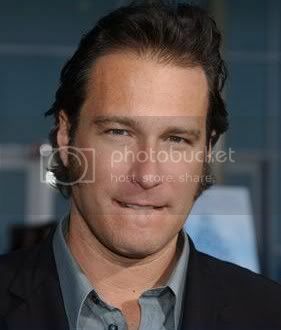 John Corbett plays another lovable, strong life partner this time as Max, the suburban husband married to Tara and her alters. Brie Larson plays daughter Kate. Keir Gilchrist plays son Marshall. Rosemarie DeWitt plays sister Charmaine. Definitely a good replacement for Dexter, especially while we’re waiting for In Treatment.